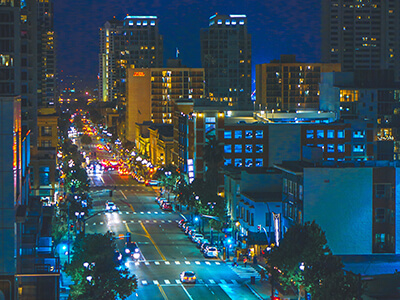 If you're looking for a good time in San Diego, head to Hillcrest for the best bars, restaurants and nightlife in the city! The neighborhood is famously known for its activity in the Lesbian, Gay, Bisexual, and Transgendered (LGBT) community, and each year Hillcrest becomes more and more populated with independently owned and operated venues that show off the area's know-how about having fun and putting on a show. 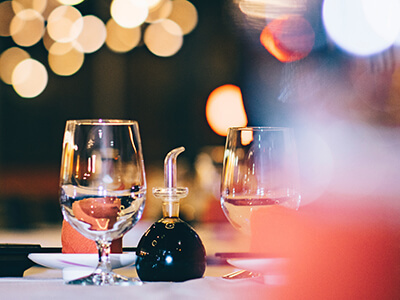 From the dining hot spots in The Village to the lush greenery and architecture at Balboa Park, Hillcrest is chock full of places to stop for a drink, get a bite to eat, and dance the night away! Hillcrest has every type of bar you can imagine, from the swankiest, most upscale 'it' spots to comfortable, laid back dive bars. If you're celebrating a special occasion or just meeting friends for a dressy happy hour, check out Martinis Above Fourth, for their elegant lounge atmosphere, entertainment, and outdoor deck. Make a mouthwatering selection from their very long list of martinis, which include offerings with enticing names like "chocolate covered strawberry" and "peanut butter cup." Looking for something a tad less buttoned up? Head over to Urban Mo's Bar and Grill for their famous drinks and entertainment. Spaghetti and show tunes, anyone? You're sure to get a very strong drink to encourage you to contribute to the raucous atmosphere! Or get a drink at any time of day with Mexican muchies at Baja Betty's! With a daily happy hour from 2 to 6pm everyday starting at just $3, Baja Betty's is friendly to both you and your wallet. Whatever you're craving, San Diego's Hillcrest bars are just waiting to whet your appetite!